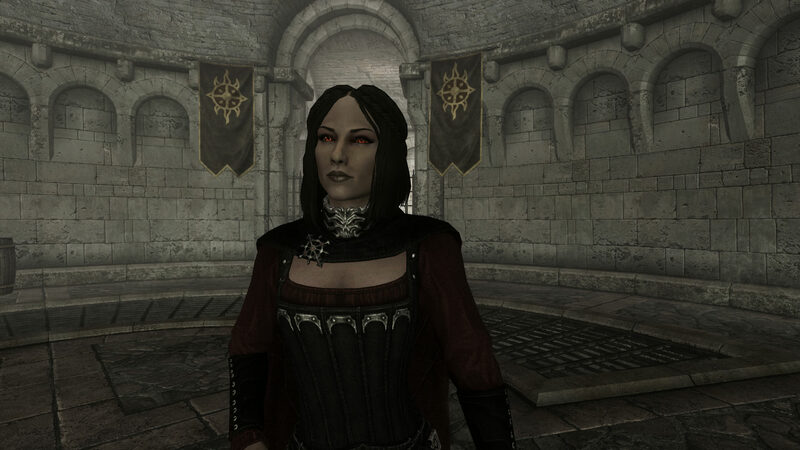 After Isran leads Dexion Evicus away to get some rest, Serana asks J’Zhirr quietly if he has a moment to talk. She has some ideas about where we can start looking for the other two Elder Scrolls. After some discussion, we decided to go to Castle Volkihar. No one would search their own home, right?